Banking and Finance partner Terence Ng specialises in China business. Since he was promoted to partnership in July 2013, the firm’s China practice has experienced magnificent growth. In fact, 11% of Ng’s clients are in the firm’s top 100. 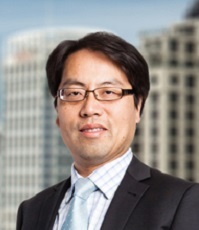 Recent work includes instructing a Chinese dairy corporation on its acquisition of land and construction of milk processing plant, advising a Chinese state-owned corporation on its joint venture wind farm investment, and advising a Chinese corporation on its various funding facilities with a New Zealand bank.